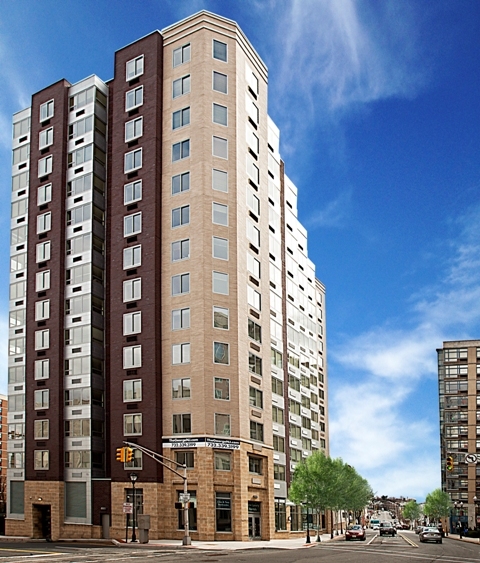 NEW BRUNSWICK, NJ – The George has made its mark on the New Brunswick rental market. The upscale 14-story high-rise rental building in the heart of this dynamic City’s downtown district is completing its leasing program in impressive fashion with almost 90% of its residences now leased. A recent surge in rental activity at the start of the traditionally strong fall leasing period has left just a limited number of The George’s popular two-bedroom layouts available in the remaining inventory. Priced from the $2,200s a month, the well-appointed two-bedroom homes have appealed to young couples and single-professionals in search of brand new, spacious apartments, as well as prospective tenants who plan to live with a roommate or share. The homes boast two full baths, an expansive master bedroom suite and spacious second bedroom, and a large living and dining room off of an eat-in kitchen. 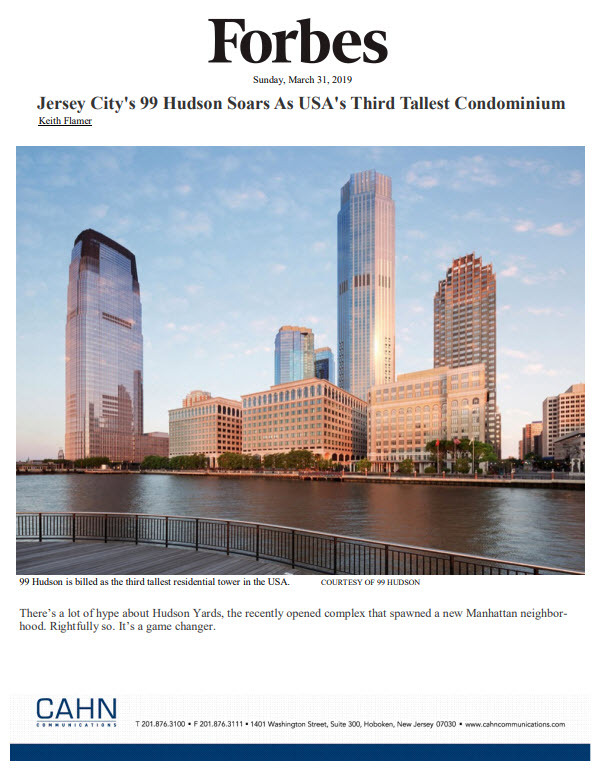 Among the designer features found throughout the homes are expansive windows which maximize the building’s magnificent views of the New Brunswick skyline and Raritan River, hardwood floors and kitchens with solid wood cabinetry, granite countertops, and state-of-the-art stainless steel appliances. Spa-like bathrooms are adorned with porcelain tile floors and Kohler fixtures. Lifestyle, location and value have played a pivotal role in the success of The George, according to The Marketing Directors, The George’s exclusive marketing and leasing agent. In addition to the two-bedroom homes, the building features a variety of one-bedroom homes with monthly rents starting from the $1,800s. Immediate occupancy is available. Located at 285 George Street, The George’s ultra-convenient location places residents in a desirable live/work/play environment. Celebrated attractions located just steps away include the George Street Playhouse, State Theatre, Heldrich Hotel, and countless restaurants, boutiques and nightlife pursuits. The Fresh Grocer, a full-service supermarket, is also just a few blocks away. The George is easily walkable to the New Brunswick Train Station which serves the northeast corridor line, and is accessible to major highways, including the NJ Turnpike, I-287 and Routes 18 and 27. For additional information on The George and to schedule an appointment to tour the model homes, please call 732-339-3199 or visit http://www.TheGeorgeNJ.com. The onsite leasing office is open Monday thru Friday from 10:00 a.m. to 6:00 p.m. and Saturday and Sunday from 11:00 a.m. to 6:00 p.m.